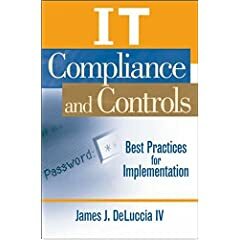 Remediation and corrective action are part of the lessons learned when a negative event (security breach, fraud, etc…) occurs within an organization. It is regarded as best practice to learn from one’s own mistakes, and an even better practice to learn from OTHER’s mistakes. In either case understanding what controls may address the situation on hand is essential to improving and maintaining a operational effective control environment. Please check out this resource and others available for free at Educause – a great resource that should be leveraged as part of cross-industry collaboration. Contributed and Quoted in American Bankers Association Journal (ABA Journal), article by Lauren Bielski - "The Case for E-Project Management"
Contributed and Quoted in Inc Magazine - Inc. Technology, article by Lora Shinn - "Instituting Security Metrics"